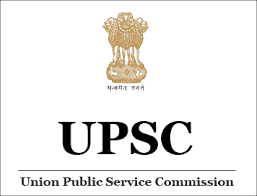 UPSC Notification 2018.Union Public Service Commission has released a notification for the conduction of Combined Defence Services Examination on 03.02.2019 for admission to the under mentioned courses.Check the eligiblity and notification prior to apply for the positions. 1. For I.M.A. and Officers’ Training Academy- Degree. 2. For Indian Naval Academy- Degree in Engineering. 3. For Air Force Academy- Degree (with Physics and Mathematics at 10+2 level) or Bachelor of Engineering. Physical Standards: Candidates must be physically fit according to physical standards for admission. Selection: Based on written examination, interview/ personality test, medical examination. Last date for submission of applications: 26.11.2018.